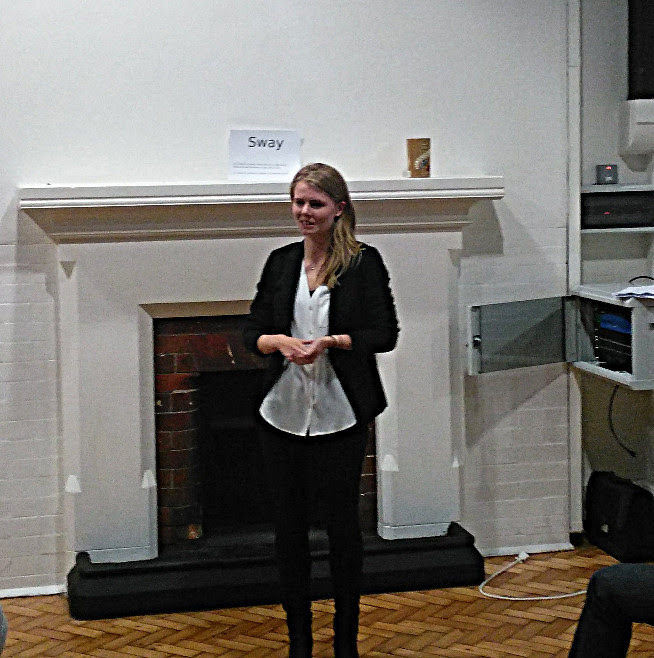 On the 4th October Isabelle made her debut as Toastmaster of the Meeting in confident style. Isabelle had asked all speakers and functionaries in advance who their most inspirational leader or speaker was and why. She then used their answers whilst introducing them to the stage. The first speech was Karen who spoke about the “Gig Economy”. She talked about disruptive “market transforming technologies” and used the examples of eBay and Uber to paint a picture of what she believed was coming to the freelancer market. It was an informative speech talking about the risks and the opportunities to those involved. Next up was Nuala who spoke about mindfulness. Nuala used a metaphor to explain what mindfulness was, she said “buses are like thoughts in our heads, we can let them go past or get on board”. She used visual aids in the form of photos of everyday items, such as washing up liquid, and taught us how we can practice mindfulness while doing the most basic chores. The third speaker was Annabel who won best speaker for the meeting with her speech titled “A Short History of Fashion”. As a speech 8 (get comfortable with visual aids) Annabel used Powerpoint to help tell the story of Coco Chanel and her greatest rival Elsa Sciaparelli. She took the opportunity given by the subject to use rich and varied adjectives, talking about “innovative, imaginative – almost dreamlike” designs. The fourth and final speaker was Warren who gave an adaptation of his recent humorous speech contest speech. He explained the reason he didn’t win in the contest was not because his speech was not funny but because the audience didn’t recognise his jokes. 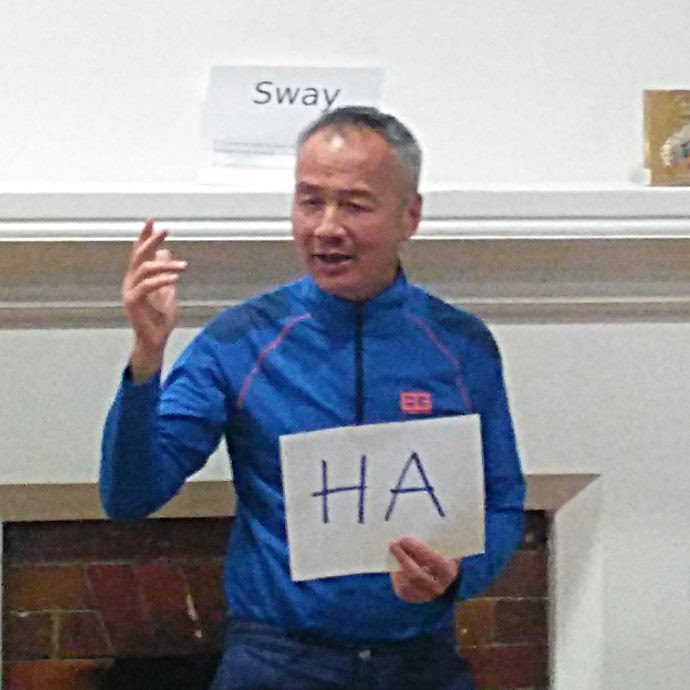 He therefore said he would helpfully hold up a sign saying “Ha” so we wouldn’t miss out. An innovative approach well worked into a funny speech on his predictions of our future relationships with robots. The second half of the meeting Terry took the role of Table Topic Master. Continuing the inspirational leaders theme, he asked participants to imagine they were in certain leadership roles and to give impromptu speeches to further their cause. Eddie won the best table topic by acting the CEO of a naturist society who encouraged everyone to get naked for world peace! Join us at our next meeting on Tuesday 11th October at St James the Less Church in Pimlico.